Under Attorney General Jeff Sessions’ new “zero-tolerance” immigration policy, everyone who attempts to cross the border is being prosecuted. Because of the way that policy is enforced, 2,000 children were separated from their parents in six weeks. Experts, mental health groups, and human rights organisations say this could cause serious, lasting harm to children and their parents. Here’s how forced family separation affects people for the rest of their lives. Babies ripped from parents’ arms. Tent cities. Mass trials. Suicides. Reports about what’s happening to children and families who arrive at the US-Mexico border have shocked many, from White House reporters to conservative religious leaders. Colleen Kraft, the president of the American Academy for Pediatrics, recently described seeing a blotchy-faced toddler sobbing and pounding on a playmat, terrified because she’d been forcibly separated from her mother. “We knew what was wrong, but we were powerless to help,” Kraft wrote. US authorities are now detaining and prosecuting anyone who attempts to cross the border illegally – even those seeking asylum because they’re fleeing violence (some of whom are being blocked from reaching official ports of entry). Within families, the parents are charged with a crime but children are not, which leads them to be separated. Almost 2,000 children were taken from their families between April 19 and May 31 as a result of the policy. In some cases, the kids are too young to speak. But this policy could cause irreversible harm and psychological damage for the rest of people’s lives, according to experts. Some consequences could even be passed on to future generations. Forced family separation has been condemned as harmful, inhumane, and counter to accepted human rights by many groups, including the American Academy of Pediatrics, the American Psychiatric Association, and the United Nations human rights office. “The administration’s policy of separating children from their families as they attempt to cross into the United States without documentation is not only needless and cruel, it threatens the mental and physical health of both the children and their caregivers,” the American Psychological Association said in a statement. Administration for Children and Families at the US Department of Health and Human ServicesSupplies are stored at a Brownsville shelter where child migrants are kept. The only photos from inside the facilities have been those released by Customs and Border Protection. There are more than 10,000 unaccompanied children in US facilities and detention centres right now; some have been separated from their parents, while others arrived at the border alone. But Sessions’ approach means that for the first time, an official policy calls for the splitting of families. According Homeland Security numbers obtained by The Associated Press, officials had separated 1,995 children from 1,940 adults by the end of May. By now, more than 2,000 kids – likely freshly traumatized – have probably been added to the US’ already overwhelmed system for dealing with young immigrants. Almost 1,500 boys between the ages of 10 and 17 have been crammed into one shelter inside a former Walmart in Brownsville, Texas. Jacob Soboroff, a reporter who visited that facility, described the boys as “incarcerated” because they were eating in shifts, had just 40 square feet of living space, and spent only two hours outside each day. The Trump administration is currently building “tent cities” near the border to hold the many undocumented kids who arrive in the US. This isn’t the first time families have been separated at the border. But now, doing so is the rule, not the exception. After families are separated, parents get dealt with by Immigration and Customs Enforcement (ICE), as they are being charged with a crime. Since the children are not charged, their cases get managed by the Office of Refugee Resettlement (ORR). In many cases, families who get separated aren’t given any information about where other family members are being held or how to contact each other. 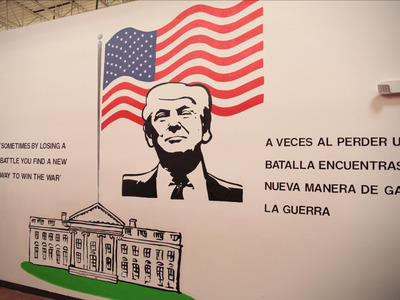 Jodi Berger Cardoso, an assistant professor of social work at the University of Houston, researches the effects of trauma on immigrants and their children. The removal of a caregiver can create acute distress that harms a child’s ability to cope and self-soothe, which can lead to depression and post-traumatic stress disorder (PTSD). In vulnerable developing brains, that can be especially harmful. “What we find from a neurobiological sense is that the circuitry in the brain that is a fear response can be actually harmed,” Fortuna said. In other words, the parts of the brain that manage fear responses – the amygdala and hippocampus -develop differently in traumatized children. That can alter their emotional experiences for the rest of their lives, Fortuna explained, and put a child “at higher risk for ongoing anxiety, depression, PTSD as they get older.” Those factors, in turn, hurt their future educational outcomes and sense of well-being, and can cause behavioural problems. For that reason, Fortuna wrote in an amicus brief for an ACLU case that family separation can cause “irreversible harm” for children. Even when kids are separated from parents in a non-forceful way, research suggests those children have a higher risk of anxiety and depression. 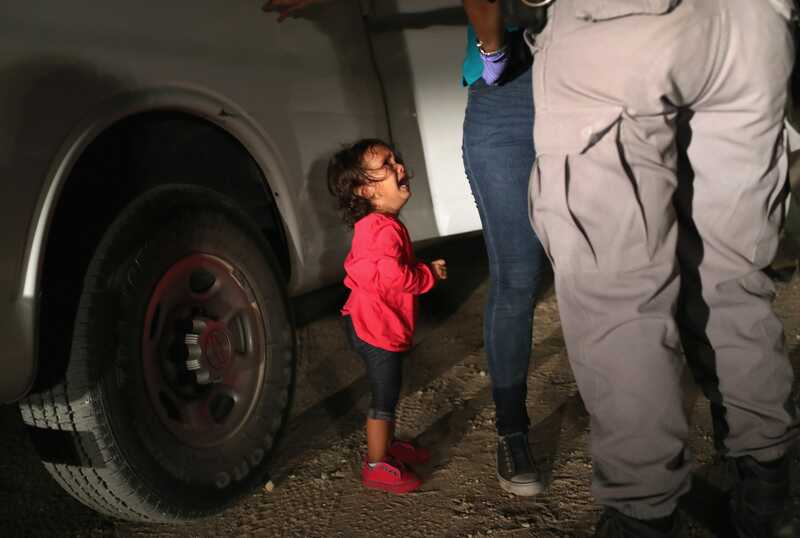 John Moore/Getty ImagesA two-year-old Honduran asylum seeker cries as her mother is searched and detained near the U.S.-Mexico border on June 12, 2018 in McAllen, Texas. The asylum seekers had rafted across the Rio Grande from Mexico and were detained by U.S. Border Patrol agents before being sent to a processing center for possible separation. Previous times in history when families were separated have illustrated these long-lasting psychological consequences. “Historically when things have happened like this – from the literature – when you have this accumulation of trauma and you break up families, you have a direct negative impact on the children, the caregivers, and potentially intergenerational bad effects,” Fortuna said. The US and Canada have a long history of separating Native Americans from their families. Researchers have linked the experience of Native Americans who were pressured to relocate away from tribes and family groups in the 1950s to problems with substance abuse and depression. Depression and juvenile behaviour issues even persisted through the next generation as well. In Australia, as many as 100,000 children from the Aboriginal and Torres Strait Islander people were removed from their families from the late 1800s through 1960s and placed with white families or in government institutions to assimilate them into majority culture. Data shows that people who were forcibly separated from their families as children experienced significant, long-lasting negative impacts: they were almost twice as likely to be charged with a crime as adults, 60% more likely to have alcohol use disorders, and more than twice as likely to have gambling problems. Surveys found that even the children of people who’d been separated from their parents in Australia had more than double the average risk of emotional and behavioural difficulties. Laurie Heffron, an assistant professor of social work at St. Edwards University in Austin, Texas, works with immigrants and women who have experienced domestic and sexual violence. This is particularly troubling for Heffron, since a central motivation for many of the immigrant women she’s worked with has been to find a safe place to raise their children, away from violence inside or outside their home. In addition to the lasting negative impacts of family separation, immigrant families detained at the border face three other sources of trauma that can compound the psychological damage. First, many of these families have already suffered hardship in their home countries, which is what caused them to leave. Second, many immigrants encounter violence and trauma on the dangerous journey to the US. “On top of whatever reason people have left their homeland… are migration-related experiences that may be oftentimes negative, which could include physical or sexual abuse or violence or exploitation or human trafficking,” Heffron said. Cardoso found in her research of one group of unaccompanied children (who hadn’t been forcibly separated from parents) that those kids had experienced an average of eight traumatic life events – a clinical category that includes experiences like kidnapping, sexual assault, and witnessing violent crimes. About 60% of those kids met the criteria for PTSD and 30% for depressive disorder. The average age in that sample was 14. And third, jail-like detention can trigger “self-harm, suicidal ideation, suicide attempts, depression, traumatic stress, anxiety, et cetera,” according to Heffron. Are immigrants really being deterred? As KIND has documented, the zero-tolerance policy is one of many aimed at making it harder for immigrant families to seek asylum in the US – and deter them from trying. The research contradicts Kelly’s claim that the children will be fine, and it’s also unclear whether this policy works as a deterrent. So far, reports from the border indicate that it isn’t deterring immigrants, since many experts say that people fleeing violence in their home countries are continuing to do so. 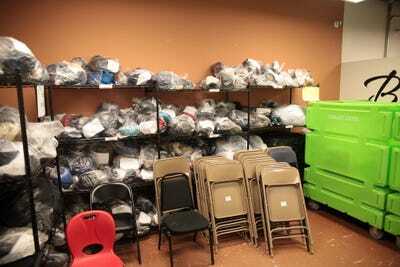 This story was originally published June 16 and has been updated with news about where toddlers separated from parents are being housed.